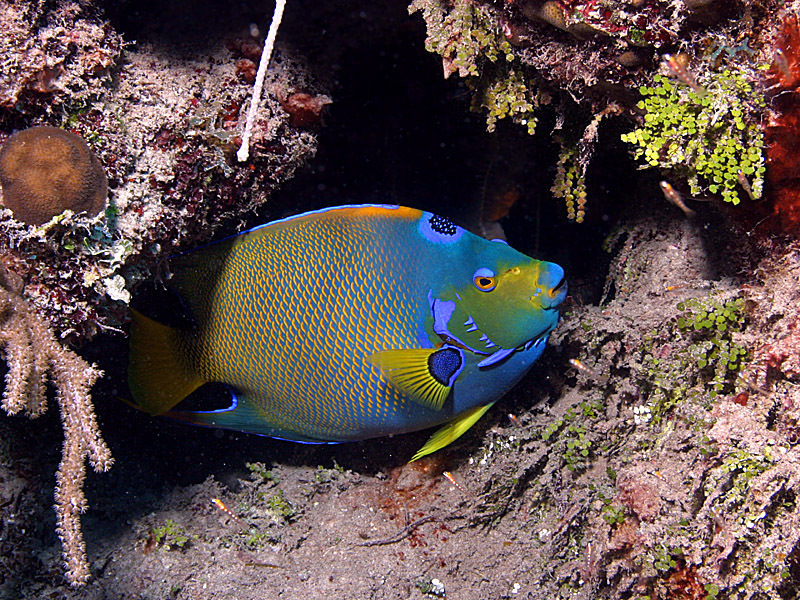 The Queen Angelfish is common on many reefs in the Caribbean, but this shy fish can be hard to photograph. Often seen swimming away at a distance, it can be difficult to get close enough to these beautiful fish to take their pictures. But I found this Queen Angelfish swimming out of a tunnel under the corals just in time to take its picture. Queen Angelfish are identified by their beautiful gold and blue colors. 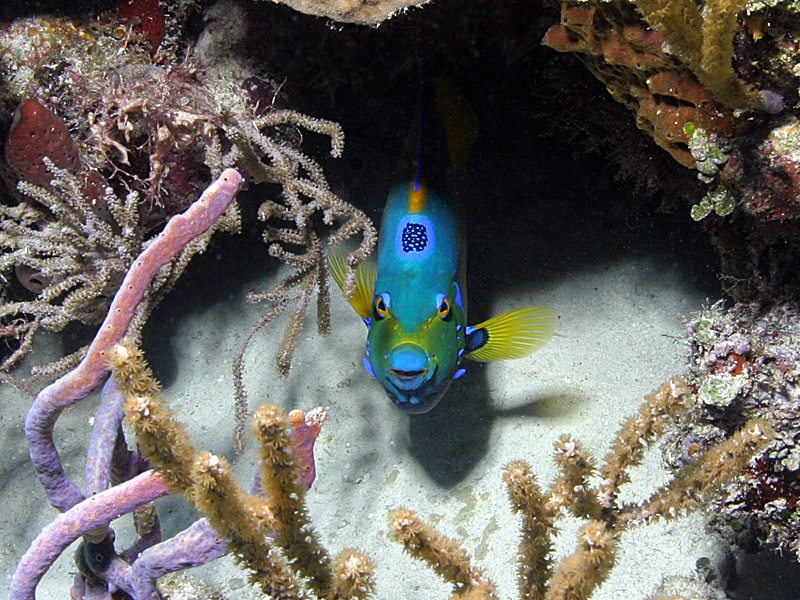 Note the light blue ring on the Queen Angelfish's forehead. This Queen Angelfish was 10 inches long. We swam with this Queen Angelfish at a reef near Highborne Cay in the Exumas islands of The Bahamas during a ReefNews expedition aboard the Cat Ppalu catamaran. ReefNews President Jonathan Dowell took these pictures using a Canon 10D digital camera with a Sigma 18-50 mm zoom lens in an Ikelite housing with an Ikelite strobe.